The combination of maple syrup and bacon is debatably the best combination of salty and sweet since the invention of chocolate covered pretzels. 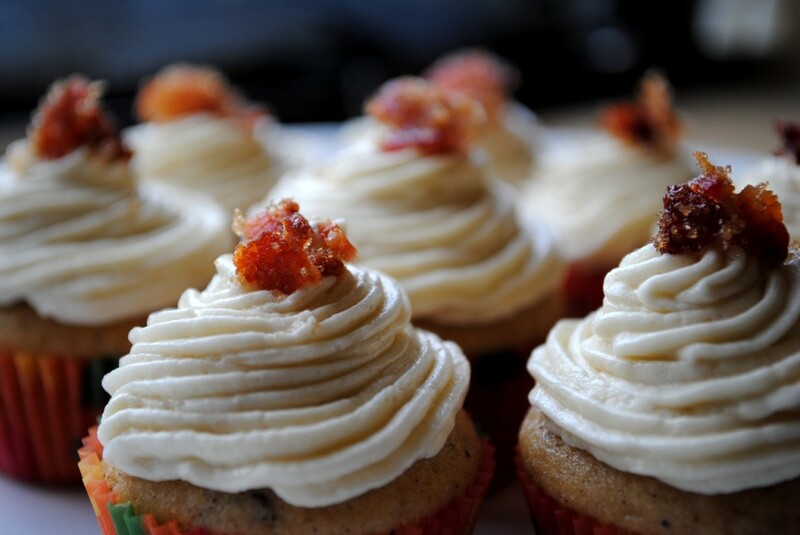 If you are a bacon fanatic, revel in the fact that you get to experience bacon not once, but twice in this cupcake. In the cake itself, the bacon serves as morsels of savory crunchiness amidst the rich, moist maple cake; in the frosting, crumbled brown sugar-glazed bacon bits give that last little pop of flavor before you sadly kiss your cupcake goodbye. We recommend making these cupcakes in miniature form so you can eat fifteen of them and tell yourself it’s okay because they’re small. 1. 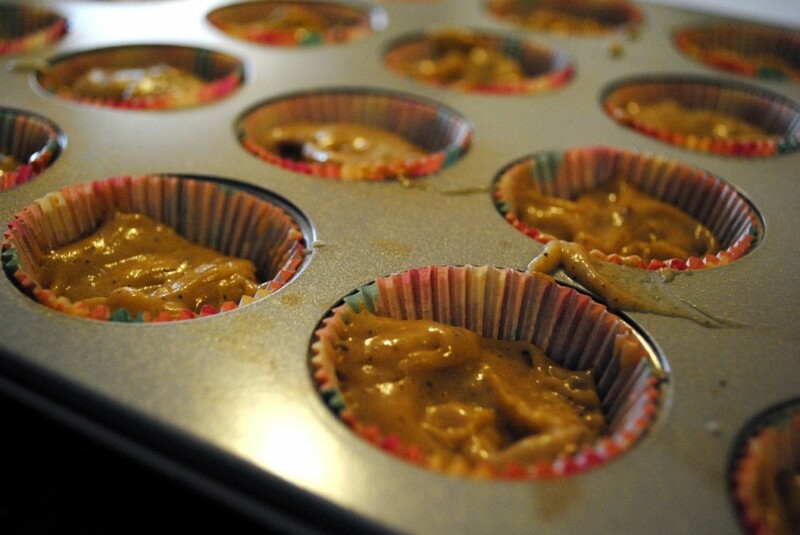 Preheat oven to 375 °F and line your mini cupcake or regular-sized muffin tin with cupcake liners. 2. Line a rimmed baking pan with aluminum foil. Place strips of bacon in baking pan, place pan in the oven and cook for 15 minutes. 3. While the bacon is cooking, place ½ cup butter in a frying pan and cook on medium high until the mixture turns a brown color and you can smell a faint nuttiness. 4. Once the butter is browned, set aside or place into a refrigerator to cool. 5. 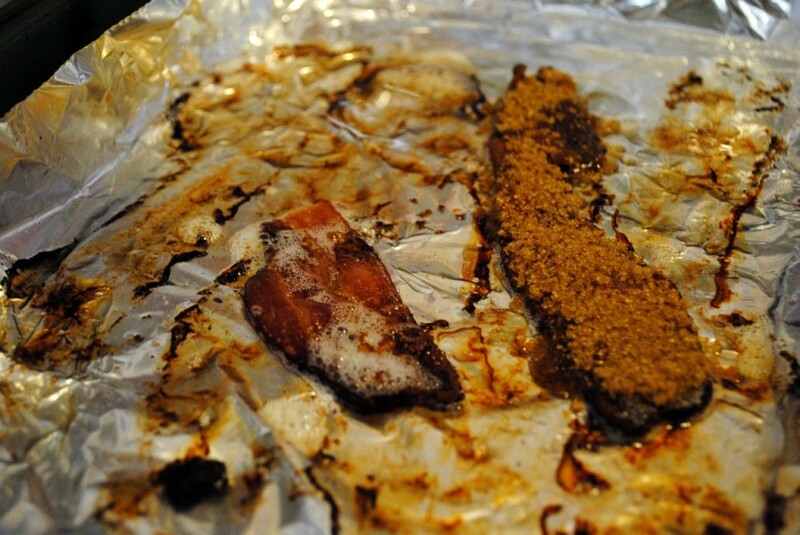 Remove two strips of bacon and place onto a plate lined with a paper towel to absorb the grease. 6. Sprinkle the remaining pieces with ½ teaspoon of brown sugar, and place back in the oven for three more minutes. 7. Remove remaining bacon from oven and set aside. This bacon will be used as a garnish. 8. Reduce oven temperature to 350°F. 9. In a medium-sized bowl, combine flour, baking powder and salt. 10. In a separate larger bowl, mix together browned butter, remaining ¾ cup brown sugar, eggs, buttermilk, maple syrup and vanilla extract. 11. Gradually mix in dry ingredients. 12. Crumble two strips of bacon (without sugar) and fold into the batter. 13. Fill cupcake liners 2/3 full with batter. 14. Bake for 8-10 minutes. To check if the cupcakes are done, place a toothpick in one cup. If the toothpick comes out clean, the cupcakes are ready! 15. Let cool in the pan for about two minutes. Then move cupcakes to a wire cooling rack and cool completely. 16. While cupcakes are cooling, whip butter and sugar in a large bowl for the frosting. 17. 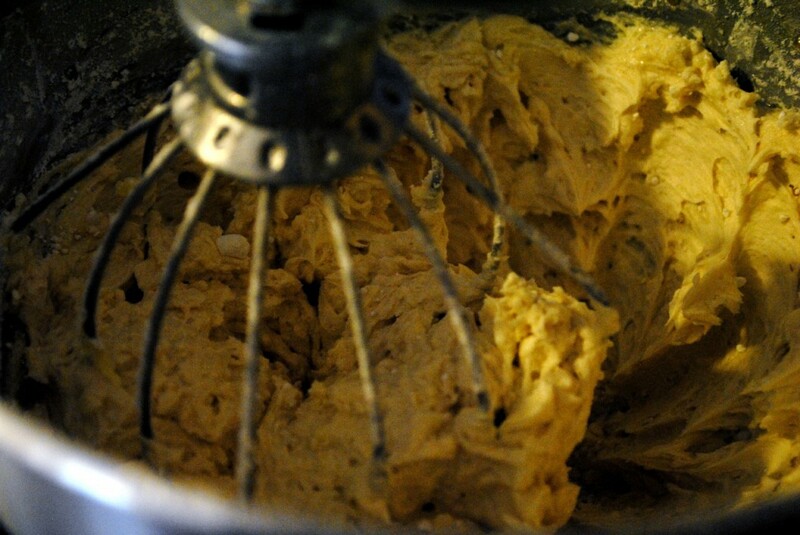 Once butter and sugar is fully combined and there are no clumps, add remaining ingredients. 18. When cupcakes are cool, prepare a piping bag (or a Ziploc bag with a hole cut out in the corner) with frosting. Frost cupcakes with piping bag. 19. Crumble the candied bacon and place on top of cupcakes as a garnish.